This is another shot of Grant and Rylee for their engagement photos. 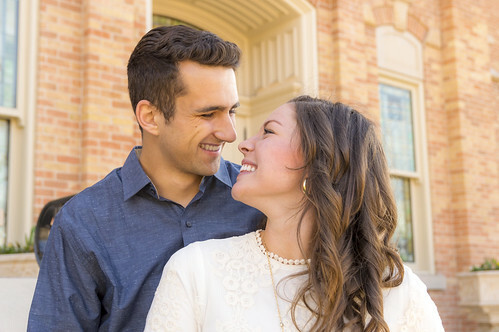 This one was taken in front of the downtown Provo temple which is covered in brick on its exterior walls. Good afternoon lighting and a very happy couple.